If you are into beauty and skincare, I think it's safe to say you have heard of Jurlique before, or at least noticed their products at the best sellers section of just about every online beauty store (aka Feelunique, Lookfantastic, Naturisimo etc). So you can probably imagine how thrilled I was when the Jurlique team reached out to me and offered to try some of their excellent skincare products. I've already had my eyes on so many things from the brand which I've heard great things about, but for today let's just get to know the brand a little better and get a closer look at the products I got to review for you. 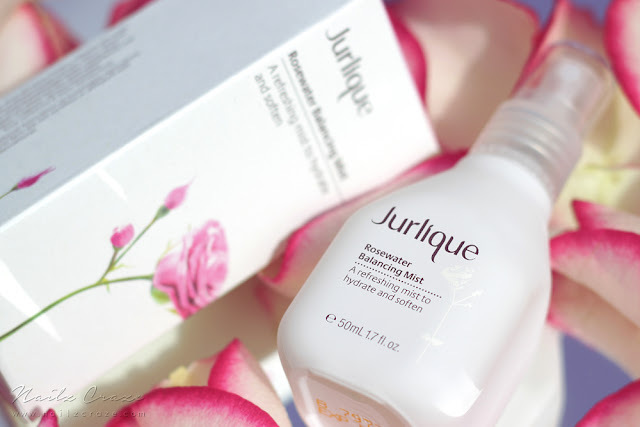 Jurlique was founded back in 1985 by Jurgen and Ulrike Klein, a German couple who migrated to Australia armed with their natural expertise - his as a biochemist, hers as a botanist - and a vision to create the purest skin care on earth. Striving to create the purest skin care products, Jurlique's skincare products contain only natural ingredients grown in an organic farm in South Australia, efficiently combining nature with science into pure and effective products to enhance our natural beauty. Facial mists became a real necessity for me lately, as it's a step that I just can't skip in my daily skincare routine. 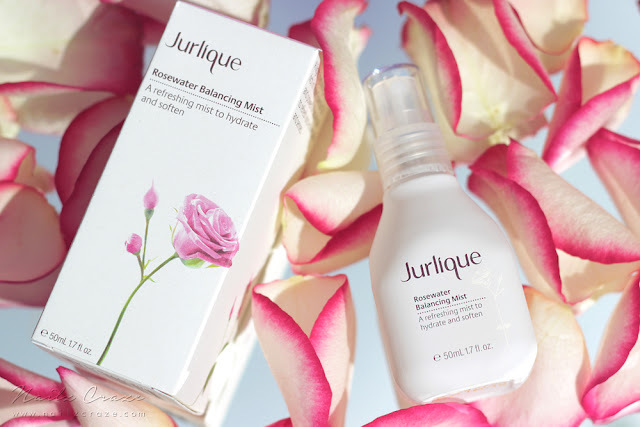 Jurlique's Rosewater Balancing Mist is a super fine hydrating mist that preps my cleansed skin for moisturizer and base makeup. It instantly adds moisture and soothes the skin with a refreshing light rose scent. If you were to ask me two months ago, I'd say I'm not a huge fan of rose scents in general, but Jurlique's mist has the lightest and most delicate rose scent which have totally converted me. I love how this mist gives the skin an hydrating boost and leaves it feeling fresh and supple, and of course I can't ignore how beautiful this little white glass bottle looks on my vanity. Gotta love a good product design, right? Jurlique offer various facial mists which address different needs; Lavender Hydrating Mist, Herbal Recovery Night Mist, Calendula Redness Rescue Calming Mist, Purely Age Defying Mist and Citrus Purifying Mist. Over the past couple of years I've probably tried dozens of different hand creams, some were good and some not that much, and it's rarely that I get really impressed as I was with this one. 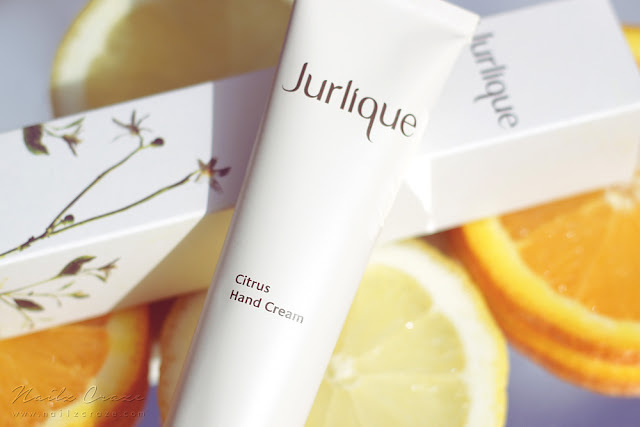 Jurlique's Citrus hand cream has all of the qualities that I'm looking for in a good hand cream - first, it has a divine natural citrus scent which I absolutely adore; second, it's rich formula really absorbs into the skin and doesn't only create a "moisturizing film" over the skin, it actually absorbs right in and nourishes it from within; and lastly, the hydrating effect lasts even after I wash my hands, yet another proof that it works from within and draws moisture into the epidermis. My hands feel incredibly soft and the uplifting citrus scent is just addictive, I could smell it all day long! The only downside with this fabulous cream for me it's the price, but with such an amazing product I'm willing for an occasional splurge. 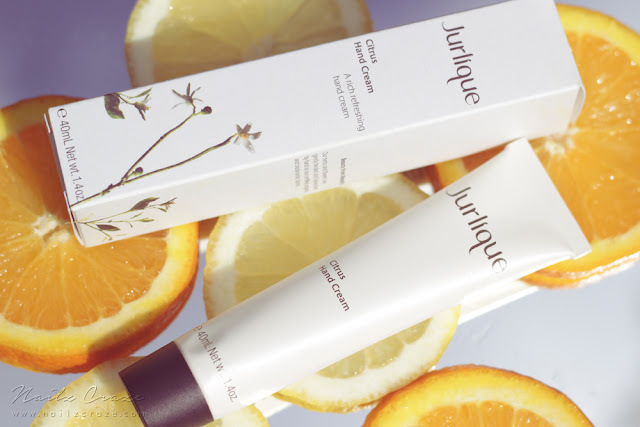 If citrus isn't your thing, but you still want to try Jurlique's hand creams, there are three more options to choose from; Jasmine, Lavender and Rose, all three available in a small 40ml ($25) tube and a full size tube which contains 125ml ($49). Safflower Seed Oil and Macadamia Oil help rebalance dryness and protect from moisture loss. Vitamin E provides antioxidant protection on hands. Carrot Root Extract and Aloe Vera soothe dryness and calm and soften the skin. 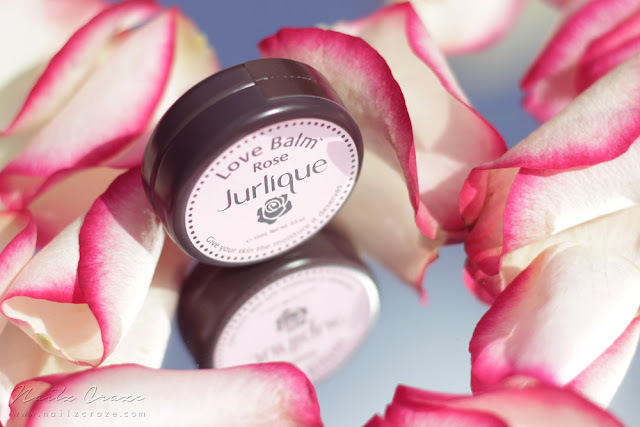 The Love Balm is one of those super popular multi-purpose balms that everyone should have in their purse. 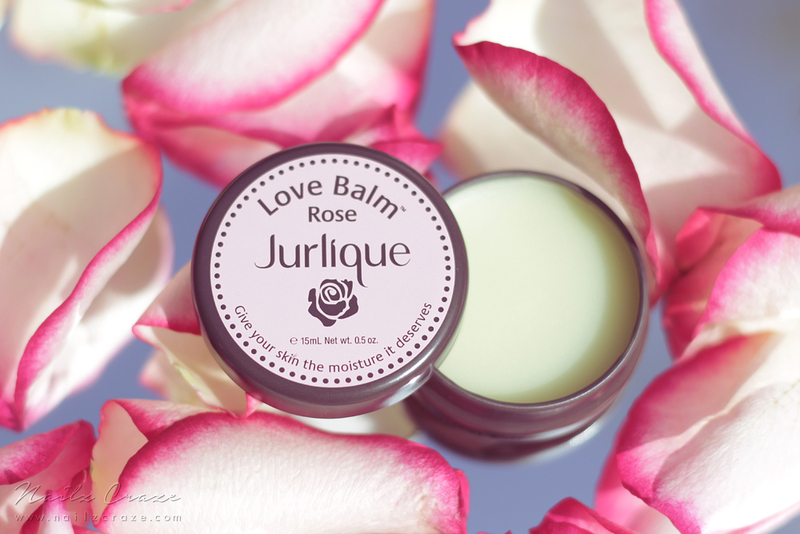 Chapped lips, dry cuticles or itchy dry patches on the skin - this balm will treat them all with a lovely rose scent. This very light yet nourishing salve is infused with natural rose scent and softens any dry skin while protecting it against moisture loss. I've been reaching out for it pretty much all the time, and I really love it's light non-greasy consistency which soothes any irritation (like chapped lips or dry skin) and moisturizes dry cuticles. When I'll hit the pan with this one, I'm going to try the original tangerine scented Love Balm, and I have a feeling I might end up loving it even more. Olive Oil, Safflower Seed Oil and Beeswax keep skin soft, supple, and nourished. Vitamin E and Soybean Oil help protect skin from dehydration and offer antioxidant protection. Bisabolol helps soothe skin and reduce redness from irritation. So far my experience with Jurlique's products was excellent and I'm curious to try more of their skincare range. 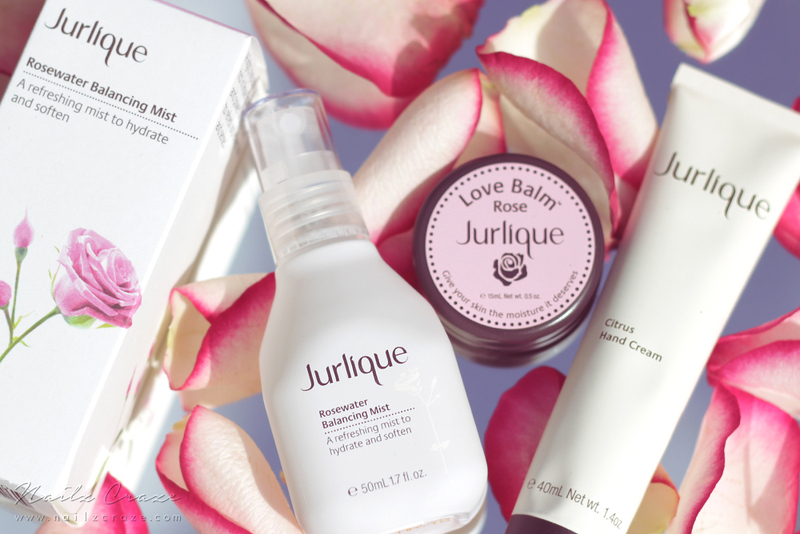 I already have a growing wishlist with a few beauty bits from Jurliqe, including their original Love Balm, the Citrus Purifying Mist and a replacement for the Citrus Hand Cream which is I'm about to run out of, since I can't imagine my life without it. Have you tried anything from Jurlique yet? If not, which products are you most curious to try? This is one brand I've heard of and have always been meaning to try out. Oh I think you should definitely give it a try! I never tried any product from this brand and I'm not even sure if I ever saw it in stores, but the ingredients just sound amazing! Jurlique have been on my wishlist for a long time and I was super excited to try their products, and wasn't disappointed! I've been wanting to try that Roes Water Balancing Mist! I'm crazy in love with the pretty bottle, too. ^_^ Those photos of the Love Balm, though, you should frame them! So beautiful! You should totally try it, it's great! 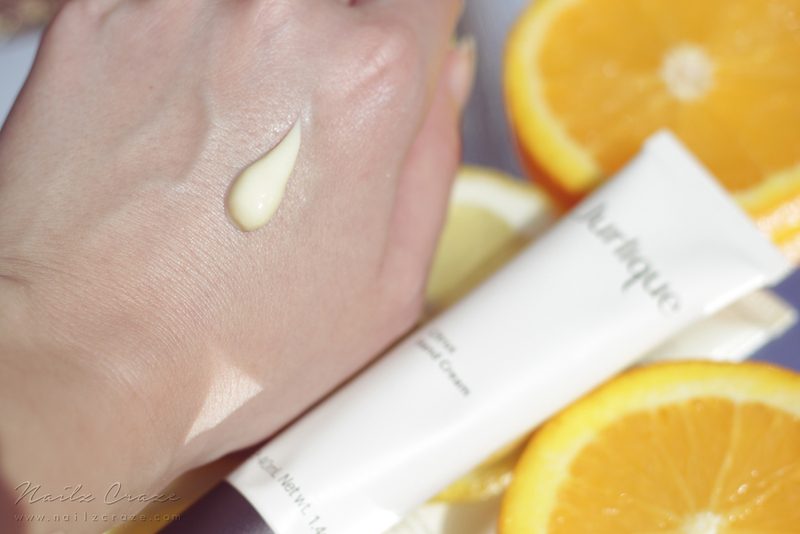 I'm in love with the Jurlique Citrus Hand Cream! Have a successful day dear! It's my absolute favorite one so far! I hope you'll try it, their products seem to be great!